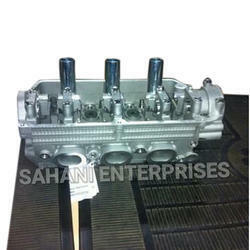 As per the needs and requirements of our clients, we are involved in providing Cylinder Head Assembly. “SUNCO cylinder heads are manufactured by strictly according to the production specification & strict inspections standards being subjected to each component. - New production assembled cylinder head. With long year of working in this realm, we are best in supplying best and most trusted quality collection of Compressor Head Assembly that are used in the shock absorber performance testers, spring performance tester. We are offering to our valued customers a wide range of Generator Spare Parts such as Portable Generator Cylinder Head which is acknowledged for its durability and sturdiness features. Motor cylinder block assembly are central components of an engine and utilized to hold the pistons up and down while moving. Which are used in construction machinery and varied mobile equipment. 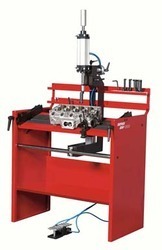 Our company is engaged in offering an extensive range of Cylinder Head Assembly. We are a remarkable entity in this domain, engaged in offering a qualitative assortment of Head Assy. We are foremost organization, actively occupied in providing a wide range of Head Assembly . We have gained a remarkable position in the market that is involved in offering Hot Air Box Assembly. Cylinder Head Assembly Model ZS1100.